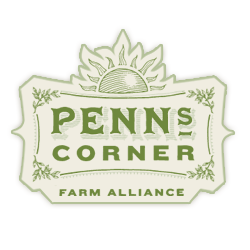 Every year Penn's Corner collects thousands of pounds of produce and fruit from our farmers and sends it to local canneries to preserve it to have throughout the year. Check out our line of products below! Items may be purchased through our Online Farm Stand or a number of small grocery stores around town including East End Food Coop, 52nd Street Market, and B Gourmet. Savor the best produce of the season all year long with our Value Added Line! Enjoy apple butter spread on your toast in the morning, or applesauce warmed with some cinnamon on top. Use the chopped tomatoes in your pot of chili, or the tomato juice to make savory tomato bread! Pop open the farmers market salsa on Taco Tuesday, and jazz up your hot dogs with our green tomato relish! 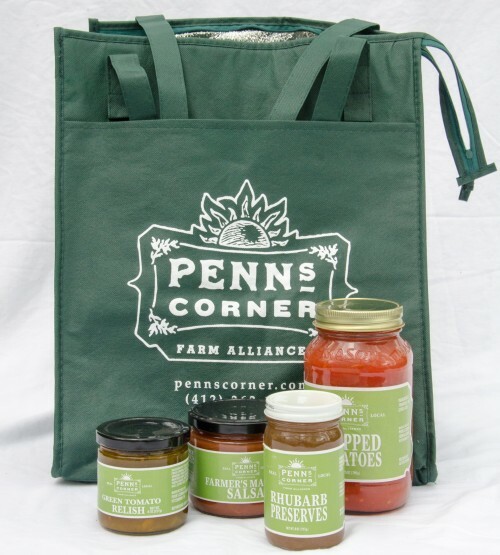 All items are available to purchase on our Online Farm Stand!